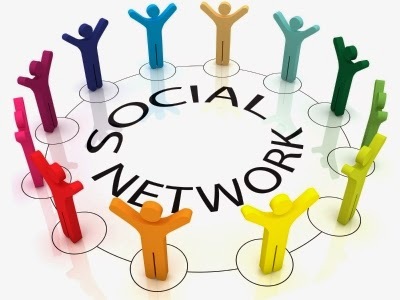 What is Social Networking- Social networking is part of social media optimization and is quickly becoming an essential part of any internet marketing campaign as it is a great way of contacting potential customers and maximizing your company’s exposure. With millions of people using a number of different social networking websites, it’s a great way of finding people who may be interested in your company’s service and let them know what you have to offer. It can also bring some valuable contacts and advice to greatly benefit your business and even form a partnership. By inviting others to join these social networking sites and become one of your contacts, they bring their contacts that may also benefit from your service. This means that your company profile is being exposed to potentially thousands of people if you use these social networking sites to your benefit. It enables you to highlight any of your latest products or services as well as back up any other marketing activities you may be carrying out. Using these social networking sites for your SMO strategy needs to be thought very carefully about as the content you post on these sites must be relevant and interesting to others to create interest. If your content and posts are dull then no one will bother to click through to your site. With many others using these social networking sites for their search engine optimization, it’s important to create headlines that are eye-catching and stand out from others. Twitter allows users to post text based updates onto their Twitter page that are 140 characters or less as well as posting links and pictures on the update. Your update can also appear on other users pages if they choose to ‘follow you’. Recently the site has dramatically increased in popularity and is regarded as one of the strongest social networking sites for internet marketing. With over 150 million members using the site, it is mainly directed towards friends and family, although the search facility, status updates and advertising space does make it an appealing tool for marketers. Linkedin is a powerful tool for business networking as your business profile can be exposed to a variety of different business people from a wide range of industries.